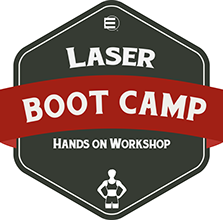 The Laser Boot Camp is your Opportunity to Jump-Start your Practice by Learning How to Implement Emerging Technologies in Aesthetics and the Latest Non-Invasive Approach to Treat Chronic Pain. The wisdom of chiropractic is integrated with the use of low level laser therapy in application with conditions associated with chronic pain. This class is for the practitioner who desires to maintain the traditional application of chiropractic and to enhance the benefits achieved by applying one of the newest, most researched technological advances in the healing arts. Specific protocols and techniques for common conditions such as neck, shoulder and heel pain will be taught using laser therapy and soft tissue correction and of course the chiropractic adjustment. In addition, we’ll include in our presentation a demonstration of the Zerona®-Z6 non-invasive fat loss laser. Dr Kirk Gair has been in private practice since 1999 and began using Erchonia low-level lasers in 2004. During that time, he has worked with athletes of all levels, including Super Bowl Champions, MLB and national and state champions. Due to his laser protocols, he has patients come from all over the U.S. for help. Even though his is a 100% referral practice, he has a long waiting list due to his success. Dr. Gair has also completed additional training in functional medicine and functional neurology under the guidance of internationally acclaimed Dr. Datis Kharrazian. He appeared in Dr. Izabella Wentz’s documentary, The Thyroid Secret. Dr. Gair has also written articles for the Hypothyroid Mom website, which has over 1 million followers and has been featured on podcasts by Thyroid Nation, Rebel Health Tribe, and The Thyroid Pharmacist, Dr. Izabella Wentz. To sign up for this FREE Seminar: call (1) 888.242.0571. *Credit card required to hold spot. If attendee no shows for seminar, $50.00 will be charged to card on file.